With the start of spring means the time for spring cleaning. This time of year we prepare our short-term rentals for rental season. 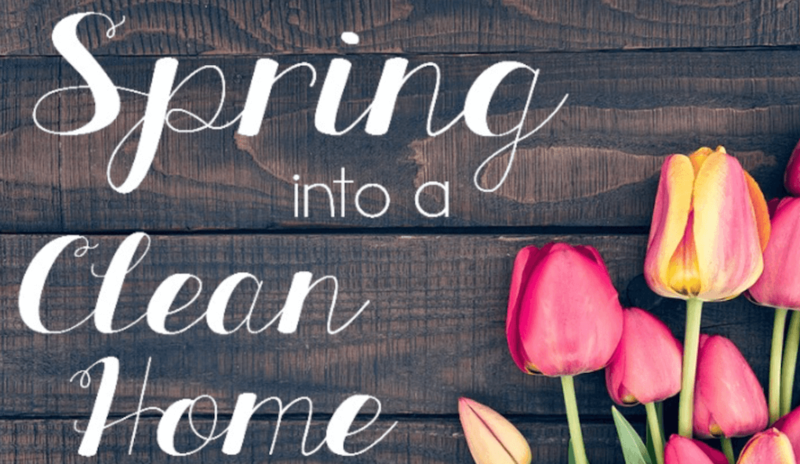 Whether you are simply giving your rental a deep clean or sprucing up your decor for the new season, here are tips for spring vacation rental cleaning. A good first step in a spring cleaning plan is putting any winter decor in your home back into storage. Remember to store away your thick blankets, winter decorations and any other winter items that are not needed with the warm weather. Steam cleaning carpets is very important for vacation rentals, especially if you allow pets! After a long winter where the windows tend to stay closed and mud is tracked in from the wet weather, good chances your carpets are in need of a deep clean. A freshly cleaned apartment means a good smelling vacation rental. Dust and allergens collect on your window treatments year round, especially during winter. This will cause a musty smell and sneezes guests. To clean your window treatments you can simply take them down and wash them. Depending on the material of the window treatments, you may be able to simply run them through the washer. Also remember to freshen up the look of your windows by giving them a good clean. It’s possible that with colder winter conditions, the outside of your vacation rental needs a little love. This is a good time to remove any dead plants and plant new ones to make the entrance to your house esthetically pleasing. Hose down your walkway to clear up any leftover mud or dirt. These are great way to create a good first impression of your home. Depending on your circulations system- whether it is vents or fans, chances are there has been some dust build up over winter. You do not want your guests to experience a surprise cloud of dust when they attempt to get circulation going. But in general for ventilation systems, first, turn off the power connected to the heating or air conditioning system. You will then remove the air duct covers from the walls. Clean the grates with a brush, or vacuum the dust away. Finally, check to see if filters need to be replaced. For ceiling fans, use a cloth to wipe down the blades. Chances are your rental may have some blocked up drains after a long winter. No guest wants to have a pool of water around there feet while they try to shower. To solve this problem, simply run to the store and buy some Drano. Running Drano through your sinks and showers surely get rid of any pesky clogs. Vacation rental cleaning is always important. When a busy rental season is approaching, there is further reason to focus on your current Airbnb cleaner needs. You may want to decide whether you need back up cleaners for this busy season. Discover new cleaners in your area to prepare for this season on our Turnoverbnb marketplace.